It's Just Mobolaji | Music & Entertainment: 2Face Video Shoot Auditions! Interested in being involved in a 2Face music video? 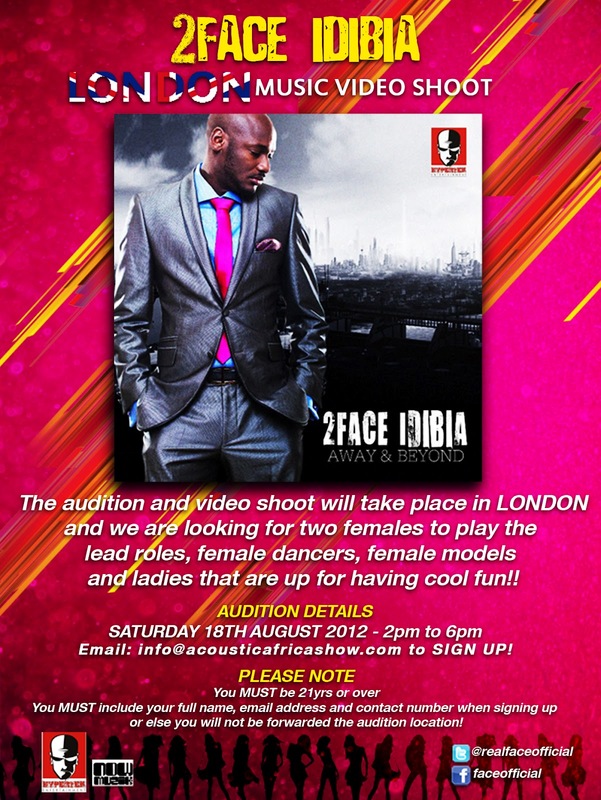 The legend 2Face is holding auditions for his video shoot out here in London! This is a great opportunity for upcoming female models/video vixens, dancers or any female that just wants to get into that industry! All the details are on the image above. Best of luck to all of you that audition and I cannot wait to see the final result!